Young Investigators operates differently to our other 4 Tui centres. Children come for sessions (4 hours morning or afternoon); mini days (6 hours); or full days (7.45 - 5.15). In our programme, children are mostly free to choose what they will work on and the routines they are involved in are respectful and gentle, taking the child's emotions and well being into account. We are supportive of transition times, when children are arriving or leaving, as some find this quite hard from time to time. We offer snacks and lunchtime for extended periods so that children can choose when they feel ready to eat. Toileting is a matter of reminders rather than a 'must do now'. Sleep time happens if a parent requests it and the child is willing (although we do make having a sleep/rest a very peaceful experience). We encourage children to respect the rights and needs of other people through role modelling between teachers and with children. We have our own special way of speaking and acting positively with children to help them manage their emotions and act in ways that do not hurt themselves or others. We are very fortunate to have a large outside environment that provides space for children to be alone or work with others. 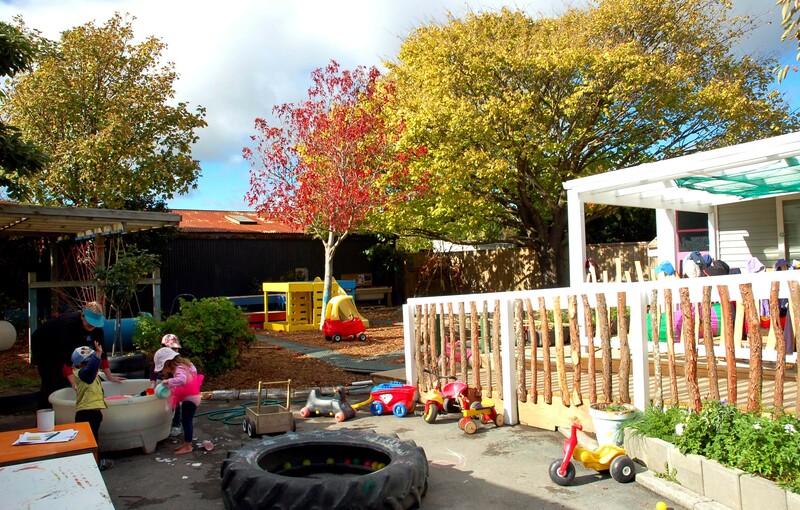 Changes happen frequently in this area in accordance with children's interests and the teachers' enthusiasms but a feature always are our gardens. We believe that all of us have an entitlement to work and play in a pleasant environment. At Tui we value childrenâ€™s interests, strengths and abilities. We recognize young childrenâ€™s need to develop their abilities to become independent and their desire to begin to guide their own learning experiences and outcomes. To achieve this we include a variety of free play and planned events within the routine of the Tui day. Young children are seeking some independence and control over aspects of their lives. They are beginning to realise and practice their skills, interests and abilities. A learning journey may be initiated through the interests of the child, a peer or group, a teacher, or by a resource or question. Independence in the eating, sleeping and toileting routines are also ways in which children are provided with an appropriate opportunity for decision making. 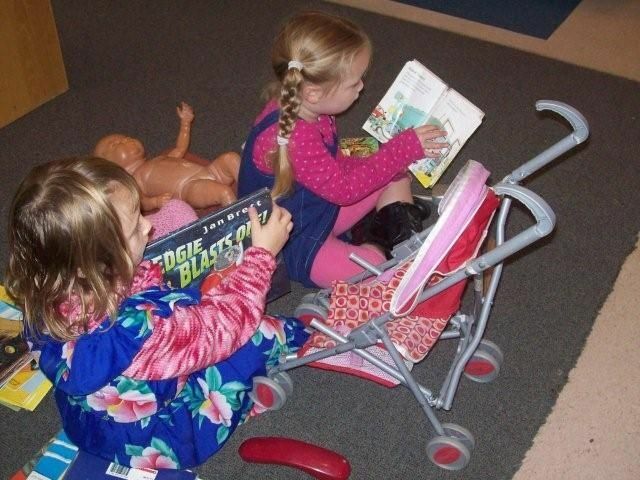 Early Maths and literacy concepts are taught through a wide range of resources and conversations. Early maths practices will include counting, recognizing numbers, grouping same and different objects, simple addition and subtraction, recall of important numbers such as their telephone number or street address, weight, shapes, volume, using tools such as tape measure, scales and thermometer. Literacy practices will include the introduction of a widening range of vocabulary though our Projects and excursions, the encouragement of writing skills though the example the teachers set of writing lists, observations, notes in the message book and the provision of writing materials for the children to practice with, stories, songs, poems, rhymes, acting out plays, role playing such as drawing a treasure map with directions, or writing a grocery list for the ingredients for making muffins. The young child is interested in all that is happening about them. The world is a place of wonder and discovery. Investigations such as: why is a bubble round? How can I build a tower that wonâ€™t fall? How do my ears hear sounds? lead children and teachers on the trail of research, experimentation and exploration. Like parents, the teachers at Tui place great importance in helping the children to acquire and practice good social skills. We encourage and support a positive attitude; a reasonable amount of independence from the teacher; settling into the centre; belonging in a group; empathy; a sense of humour; forming friendships; becoming assertive; having good self esteem; expressing feelings appropriately; making contributions to discussions; sharing; taking turns; being curious and interested in others; negotiating and compromising; accepting that other cultural and ethnic values are important to other people. We have a commitment to honouring the Treaty of Waitangi and each centre is on a journey to make Tui a bicultural place for all children. Children have distinct personalities and temperaments right from birth. Nuclear and extended family relationships also will affect social behaviour. What is appropriate social behaviour in one culture may be less appropriate in another culture. Children from diverse cultural and family backgrounds thus may need help in finding ways to learn from and enjoy the company of one another. Teachers have a responsibility to be proactive in creating a centre community that is open, honest, accepting and caring. Our programme sometimes includes group time for all the children. The group time format includes music and movement, co-operative games, story telling and opportunities for children to perform, lead or tell stories in front of the group. There may also be smaller groups which form on a formal or informal basis, according to what is happening in the programme, where children may explore scientific or maths thinking, play board games, investigate a topic in depth over a period of time, etc. We often have project topics which arise from interests of children. Projects for investigation may include such things as machines, dinosaurs, space, animals, bugs, planet Earth, germs, X-rays, emergency services, colours and weather. We invite families to think about their own childâ€™s particular interests, skills or areas to work on and offer suggestions to the teachers. The teachers are our most valuable resource at Tui. Conversations and interactions are the key to teaching and learning. 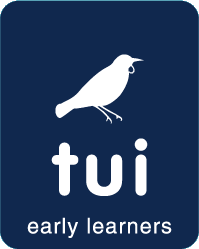 All the teachers at Tui have or are studying for a 3 or 4 year early childhood degree. We are also trained in first aid and all have a commitment to professional development. We teach because we enjoy children and get satisfaction from knowing that we have helped in their development in these important early years before school.